We pick the best of the indie games coming to PS4, Xbox One, Nintendo Switch and PC in January, which ones will you be getting indie fans? It’s 2018 indie game fans and we are getting ready for the games to start dropping. With us already into the new year, the game releases are approaching, including those hard working indie developers. 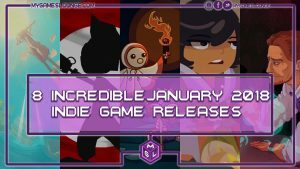 In this article we choose some of the January 2018 indie games releases you should think about playing this month. This includes our thoughts on the game, videos, information and a video accompaniment which you can watch in the header above. Don’t forget to Subscribe to MGL on YouTube as we really are focusing on videos this year! Clicking on the game title headers below will take you to the official page for more information. Be ready to let us know your favourite from the games below, all in release order. This list is all about indie studio games (even if they are being supported by a smaller publisher). 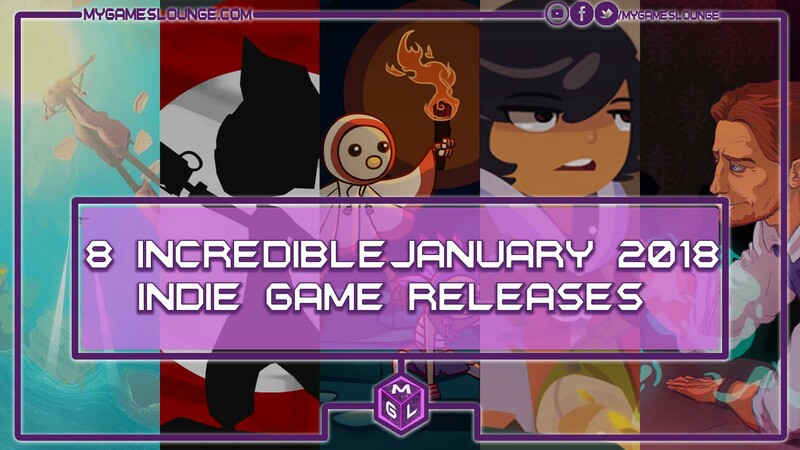 Want to see the big publisher games for JAnuary? Head to our January Video Game releases article. Are you an indie publisher reading this and want your game featured, head to out contact page and get in touch! Right now you can pick up The Escapists 2 on the Nintendo Switch thanks to the guys at Team 17 and Mouldy Toof Studios. Great indie studio name that one! With the success of the original and the game already getting a very positive reception on other formats the Switch release makes a lot of sense. I personally really enjoyed the original but so far haven’t played the sequel. Getting this on the move, with the option to play Co-Op by snapping off those Joy Cons seems a great idea to me. Worth a look for the price! An interesting one for you next as we head to InnerSpace, not the 80s movie that us old people remember though. This is a game about exploration and discovery in a very impressive looking underwater environment. Since I’m one of those gamers that likes something a bit relaxing to play, I quite like the look of this one although it might come with a bit of challenge too. Exploring the world of interconnected spheres, you have to navigate in a physics driven environment, as gravity pulls you in different directions. Souns quite the concept and looks great. Worth a look since it’s out there on most formats this month. 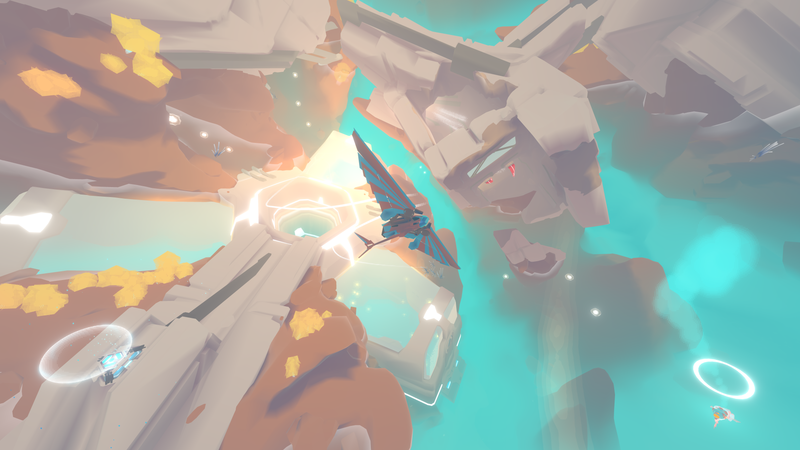 InnerSpace is an exploration flying game currently in development for PC, Mac, Linux and Consoles. Set in a world where physics are inverted, explore a setting of interconnected, inverted spheres. Each is an interior world of once-inhabited islands surrounded by water, where gravity pulls outwards, away from the centre. Piloting an agile aircraft, take the role of an unnamed cartographer to explore the various bubble-worlds, collect relics, and encounter each bubble’s unique patron deity- all in order to discover more about the universe, its history, and its future. Once upon a time I loved to waste many hours on RTS games on PC. I could certainly see myself doing the same with this Steam Early Access title Forged Battalion. The game promises a load of cool tech to develop and upgrade with various “skill tree” style mechanics and great looking battles. I like the style on this one plus, with it being early access you get to see the game grow and maybe even influence it. For RTS gamers on PC, this could be well worth taking a look at. In Forged Battalion you’ll be tasked to manage, customise, and develop the blueprints of your emerging faction to create ever-evolving factories and units. Using resources gained in battle, you’ll unlock new options through the metagame tech tree allowing you to choose the archetype, armour, locomotor, weapons, and special abilities such as stealth and regeneration that will make your faction one of a kind. As more technology is unlocked, your designs become more advanced and ultimately, you will have access to the most powerful options, including an array of deadly superweapons to launch against your foes. 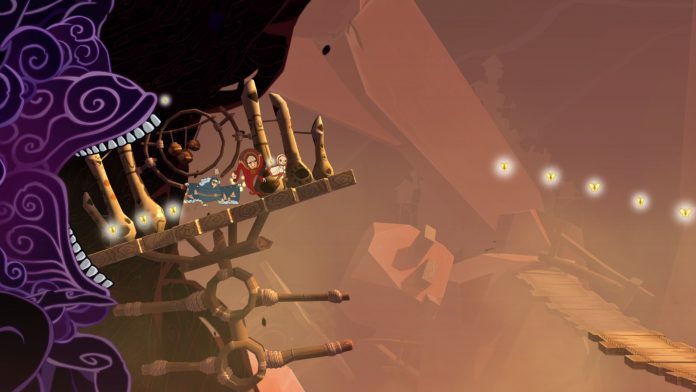 Stylish looking 2D platformers are becoming a bit of a thing at the moment. Inside(review) was amazing though, wasn’t it? This too is a rather dark adventure as you explore 1939 Germany in search of a girl with bunny ears. There are challenges and the usual platforming pitfalls to avoid as you progress in this rather stylish black and white adventure. It’s already out on PC but platformers and consoles make a lot of sense. This could be a fun one to pick up this month for fans of 2D, puzzle solving platform games. One I’ll be getting I think! In this first instalment “The Adventure Begins” the player is thrown headfirst into a haunting world set in 1939 Germany in search of a mysterious girl with bunny ears. Clues as to who she is and what happened to her are scattered throughout the game in the form of drawings left in post boxes and shards that the player must piece together. However, the player is not alone on this adventure, help comes in the form of the girl’s magical bunny, Otto. The player must use both Albert and Otto in creative ways to traverse a haunting world. At the beginning of the story, Albert can shoot and jump, while Otto can fit through tight gaps and hold down power switches. But together, they unlock new skills such as a double jump, levitation, control of electrical currents, and more as the story unfolds. Time to mix up the genres in Full Metal Furies by the guys at Cellar Door Games, the team behind Rogue Legacy. Their new title, Full Metal Furies is a game that mixes up some action brawler traits with some RPG elements to make it all very fun. You can get together in groups of up to 4 to take on this game, both offline and online. There are skill trees and equipment and many more addictive qualities to this one. It’s biggest selling point though is simply how fun it looks to play. Our man David Game is currently reviewing this one and will have an update for you guys soon. Looks one to watch though. FULL METAL FURIES is an RPG-laden action brawler for up to four players. But the brawler formula is a little outdated, made for a time when arcade machines guzzled quarters. So this isn’t just another old-school beat-em-up. FMF is our take at modernizing the genre, and bringing it to a new generation of gamers with full online and offline 4 player co-op. Nothing is sacred in FMF as we scrutinized every issue we had with the brawler, from missing attacks due to obscure depth perception, to constantly fighting off-screen enemies. On top of that, we brought in a slew of more contemporary features, like RPG skill trees, collectable equipment, and secret world meta-puzzles. And this isn’t even talking about the co-op yet! Personally I’m all for some cyber-punk action and narrative driven games. So, to see one that is both in The Red Strings Club has me interested. It’s all done in a very pixel art style and it has some cool themes going on. There is a company potentially out there to brainwash people out of negative emotions such as fear and depression. It’s seen as a cure by some and oppression by others. All of which sounds and interesting combination. Those who like a good graphic adventure title might want to check this out when it arrives to PC. The professed altruistic corporation Supercontinent Ltd is on the verge of releasing Social Psyche Welfare: a system that will eliminate depression, anger and fear from society. However, the bartender of a clandestine club and a freelance hacker don’t regard this evolution as an improvement but as brainwashing. Alongside unwitting company employees and a rogue empathy android, the duo will pull all the strings they can to bring down this scheme. From the darkness to the bright and colourful adventure of My Time at Portia. This Kickstarter funded game looks really impressive visually and packs some cool gameplay mechanics too. The sandbox style experience sees you crafting a life for yourself and making the lives of other people in Portia better too. It’s one of those games that, once picked up is going to be hard to put down. It’s early access this month so will no doubt develop more as the game gets towards full release. When it does it’s also coming to consoles but certainly looks worth a look on PC this month. Setting sail for Portia, a town on the edge of civilization, you’ll arrive to find a workshop left to you by your Pa – a place where you can begin to craft a new life, using the relics from the past to improve life for the villagers in the town. Gather materials from Portia’s stunning open world: cut down trees, forage for herbs, mine in the ruins and even grow your own garden. There are many unique areas for you to explore including deserts, island, reefs, highlands, marshlands, mines and more! There are even two different types of dungeons including abandoned dungeons filled with important resources such as relics and ores for you to harvest or more hazardous dungeons where you’ll be able to encounter and battle monsters! The final game we’ve picked out in January is Shu, a charming 2D platformer from Coatsink and Secret Lunch. It’s another title already available on other formats, but is coming to the Nintendo Switch this month. Personally speaking, I think it’s one to play as well. See my review of Shu (PS4 Version) for the full reasons why. But it’s so charming and enjoyable of an experience, it’s well worth taking a look at. Shu is a beautiful and engrossing platformer that we’re bringing to PC and consoles with our friends at Secret Lunch. Control Shu and a colourful trail of hand-drawn characters as they run, jump and glide their way up an ancient mountain, forever pursued by a monstrous and unrelenting storm. Can you outrun the end of the world? Which indie game will be getting you to spend what little cash you have left this January? Personally I will be getting on InnerSpace and maybe Shu again on the Switch! But do let me know yours in the comments below using Disqus or Facebook logins. Also, our look at the main publisher January 2018 Video Game releases is also something worth checking out along with the table below. Did you find this useful? Other gamers might too! Please Share This on social media to earn 100 MGL Gamer Points (points have no value, other than being a legend). Watch the video to go with our article here, don’t forget to Subscribe to us on YouTube for more gaming videos.